Former prime ministers of Nepal have advised Prime Minister KP Sharma Oli to focus on mending ties with India instead of signing new agreements, The Kathmandu Post reports. During a joint consultation with former prime ministers and members of the Eminent Persons’ Group on Nepal-India relations on Wednesday, they suggested the PM stress on executing past agreements with India. 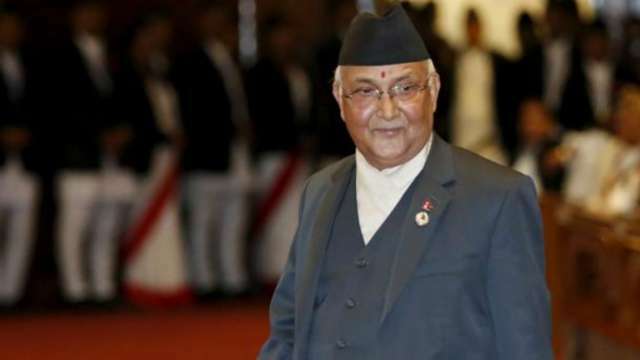 Prime Minister Oli embarks on a three-day visit of India on Friday. Former prime ministers—Pushpa Kamal Dahal, Madhav Kumar Nepal, Jhala Nath Khanal, Sher Bahadur Deuba, Lokendra Bahadur Chand and former chairman of Council of Ministers Khil Raj Regmi attended the meeting held at Baluwatar on Wednesday. Members of the Nepali EPG briefed PM Oli on the progress made with the Indian side at a meeting held recently. “I am leaving on a goodwill visit to India. I had already put my view in Parliament Tuesday and want to hear more from you all,” Rajan Bhattarai, an aide to the PM and a member of the EPG, quoted Oli as telling the gathering. Almost all participants advised the PM to rebuild trust with India, Bhattarai said. The former PMs expressed views that Nepal should engage with India to ensure “our journey to development and prosperity”. The leaders called on the PM to keep the nation’s interest at core while dealing with any foreign nation. Pointing to pending issues with India, including several Indian-funded projects, they suggested Oli not to sign new deals in New Delhi. Former PM and President of main opposition Nepali Congress Deuba said PM Oli should focus on reducing Nepal’s trade deficit with India due to lack of export to the south. On the occasion, former prime ministers wished PM Oli a successful India visit. In his closing remarks, PM Oli said the sole purpose of his India visit would be to play a significant role in furthering the ties between the two neighbours. “No agreements will be signed during this visit. No activities will be carried out against the country’s welfare. Implementation of past agreements will be stressed,” he said.